Thanks so much for booking me for your make-up! Please take a moment to read the following appointment instructions prior to our appointment. Please arrive at your appointment on-time and with a clean, make-up free face, making sure there is no residual mascara residue on your lashes. Apply any moisturizer at least an hour prior to your appointment. I do not do any waxing or tweezing of facial hair/eyebrows. Please have this done in advance to avoid any redness or irritation. Please keep the climate in mind. Costa Rica is a hot, humid, tropical place. What does this mean to you? It means be realistic about your make-up choices. If you’re used to wearing heavy, cream looking foundation, it’s not going to work here the same way it does at home. You’re going to sweat and your make-up will be a mess. I use products that work well here and I use an amazing setting spray by Urban Decay that works magic, but the less layers of foundations and creamy contours that you can get away with, the better your make-up will look throughout the night and the more comfortable you’ll be. If you’re in doubt, let’s talk about what you want and see how we can make it work the best here. Lipstick, lip gloss, etc. I recommend bringing your own lip color to your appointment, this way you’ll have it available for touch-ups throughout your event. Photos, photos, photos. I cannot stress this enough. 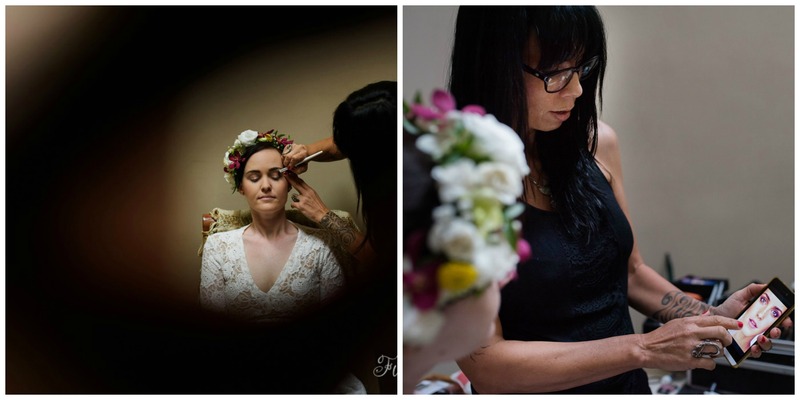 Please e-mail me me your make-up inspiration photos or Pinterest boards ahead of the wedding date (maravillamakeup@gmail.com). This way I can be sure to arrive with everything needed to achieve your desired look and if I need anything (there is no Sephora here!) I can order it and have it sent to you to bring me. If for whatever reason you’re unable to e-mail me your pics prior, please have photos of how you would like your make-up. This is extremely helpful, especially if we have not met prior for a trial session. 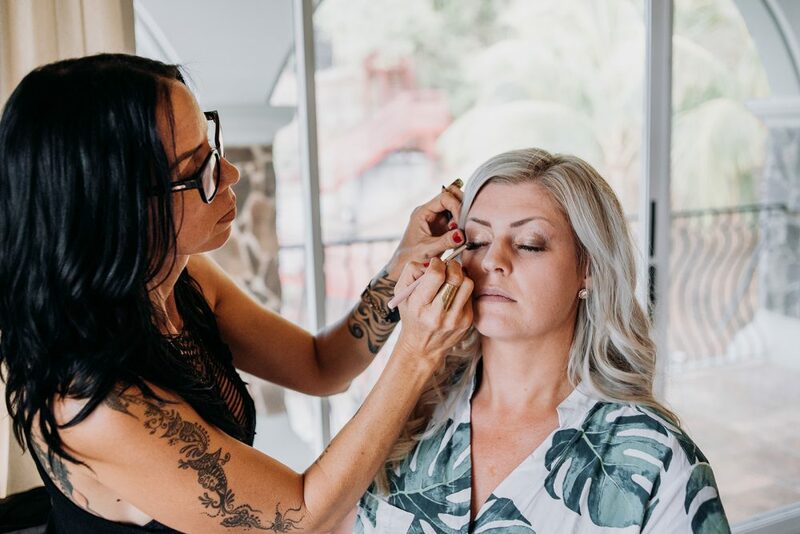 I only have a limited time with each person on the wedding day so having a clear idea of how you envision your make-up ensures that we stay on schedule. Need inspiration? I’ve collected lots of looks for a variety of ages, skin tones, and looks on my Pinterest board (maravillamakeup). If you have darker skin or extremely pale skin, please bring your foundation, concealer and powder with you to your appointment. I have a wide array of shades in my arsenal, however, if you are in one of these categories, sometimes we can achieve a better match by using your own or a combo of our products. If you require heavier coverage (for concealing scars, birthmarks, etc. ), and have a product that you feel works well for you, please bring it to your appointment. so we can be sure to you have the coverage you would like. I often am asked which brands of make-up I use. I use a variety of products/brands including Dior Airflash Foundation (love! ), Bare Minerals, Urban Decay, Benefit and Make-Up Forever. I find these products work very well in Costa Rica’s climate, are long-wearing, lightweight and photograph beautifully. If you use foundation/powder of any of these brands, please bring them with you to your session since you have your exact shade. Or, if you have a particular brand of cosmetics that you prefer to use, feel free to bring those with you to your appointment(s). We can use a combination of products to achieve the look you want. If you have not pre-paid for your make-up services, I accept cash only on the day of your appointment (colones or U.S. dollars). I’m sorry but I cannot accept any personal checks.